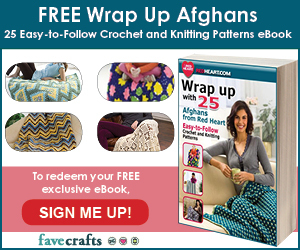 10 Free Last Minute Christmas Crochet Patterns! Only a couple more weeks to go until Christmas 2014! The stockings are hung, the tree is lit, and hooks are flying fast and furious! In the past I’ve created collections of Christmas Trees, Ornaments, Ornaments Again, Stockings, Garlands, and most recently Printables! 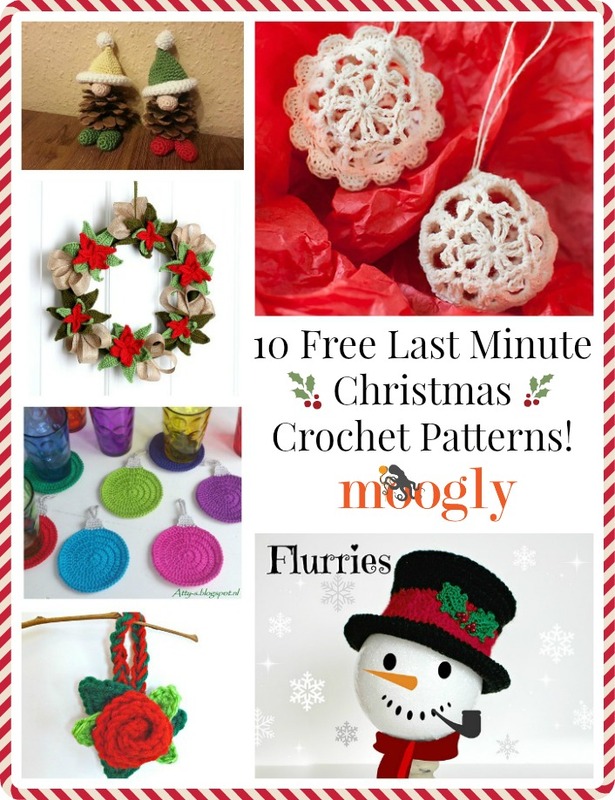 So this time I’ve simply collected 10 fun free Christmas themed crochet patterns that have never before been featured on Moogly – and all work up nice and quick for last minute gifting and decorating! 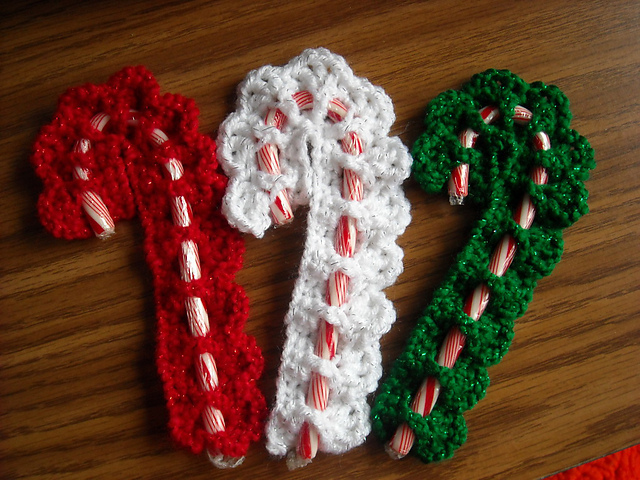 Victorian Candy Cane Cover by Cylinda Mathews, on Crochet Memories: A touch of sweet nostalgia, and such a great way to add a personal touch! Photo courtesy of KatieCason. Chameleon Hat – Flurries by Maria Bittner, on Pattern Paradise: The Chameleon series on Pattern Paradise has been great this year, and this one really “tops” them all! 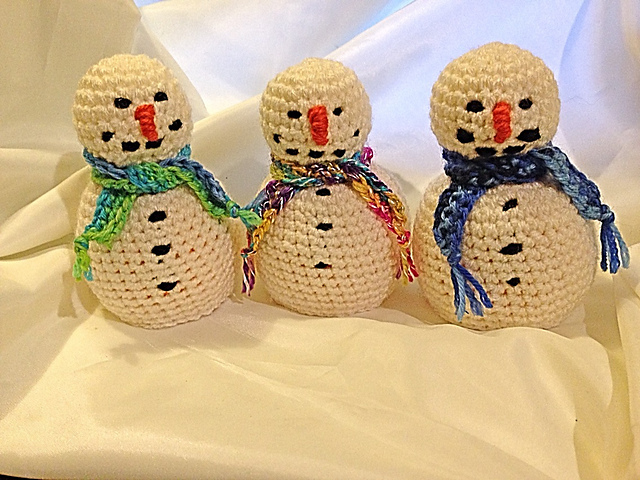 Chocolate Orange Cover Snowman by Jane Brooker, on Ravelry: Another fantastic candy cover! 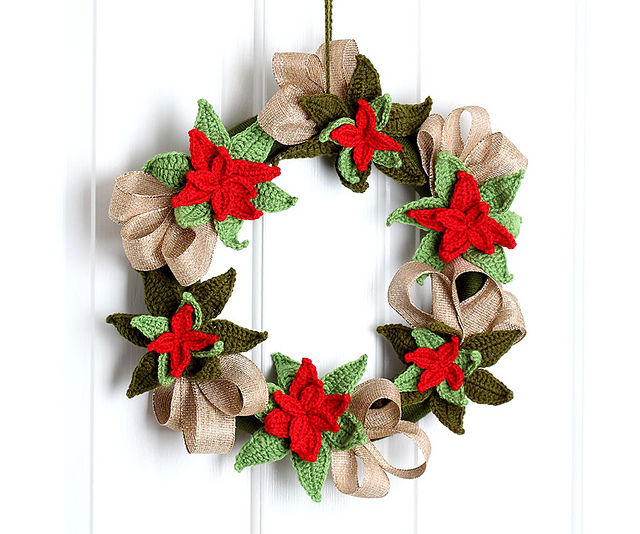 Christmas Poinsettia Wreath by Tanya Sh, on Yarn Twist: Such a fantastic look, and it includes a photo tutorial for assembly! 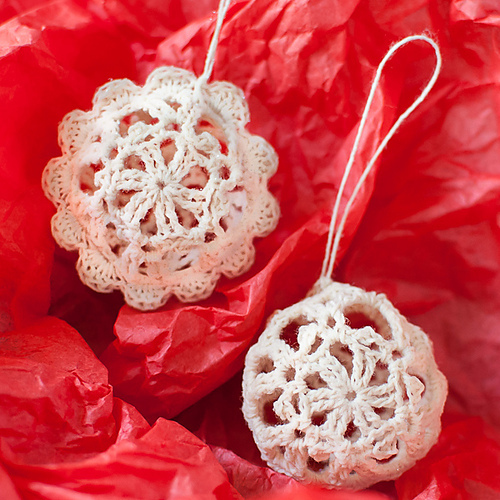 Lace Christmas Ornaments by Kara Gunza, on Petals to Picots: I see some of these on my own hook in the very near future! Christmas Coaster by Atty van Norel, on Atty*s: A simple but brilliant idea (so often the case)! So festive! 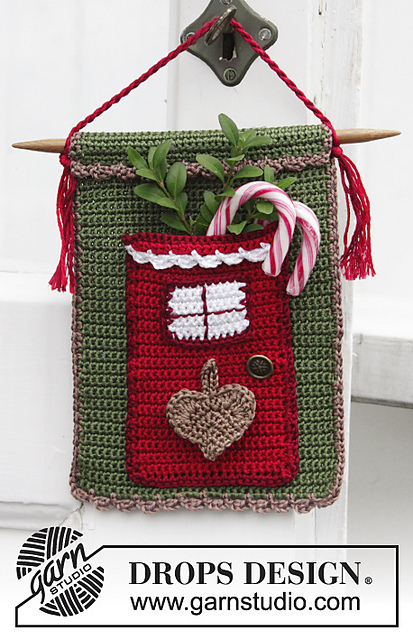 Christmas Treat by DROPS design, on DROPS: Cute country decor – and a fun advent calendar alternative! 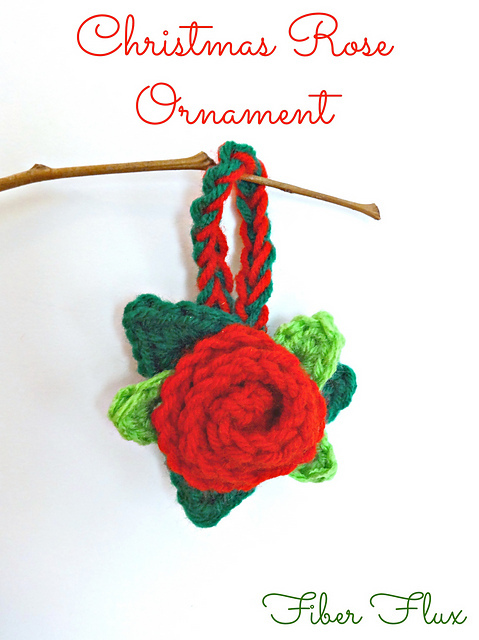 Christmas Rose Ornament by Jennifer Dickerson, on Fiber Flux: Pretty and quick – a great gift topper! 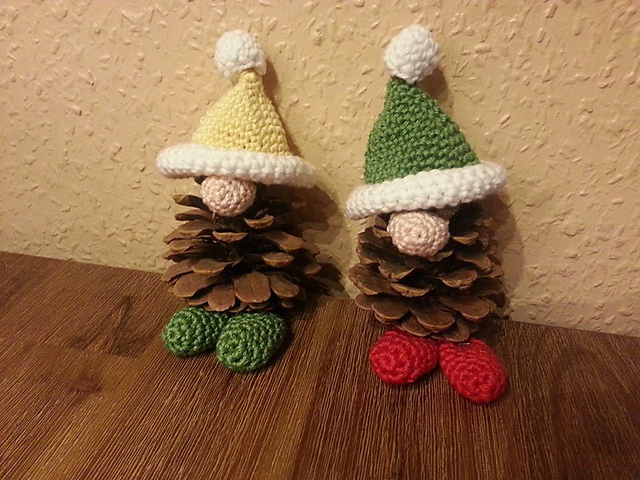 Christmas Pine Gnomes / Zapfenwichtel by Tanja Miller, on Ravelry: These are just too cute! I ♥ gnomes! 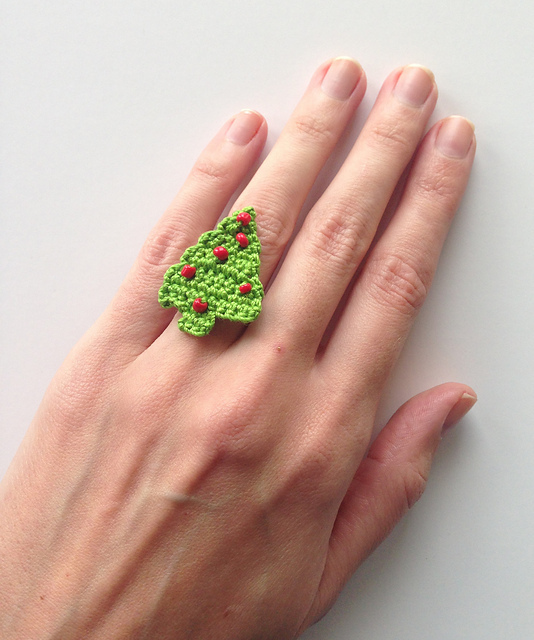 Christmas Tree Ring by Natasja King, on crocheTime: Your fingers work hard making all these gifts – time to make something for your fingers! I hope you found some patterns here to make your hook happy! 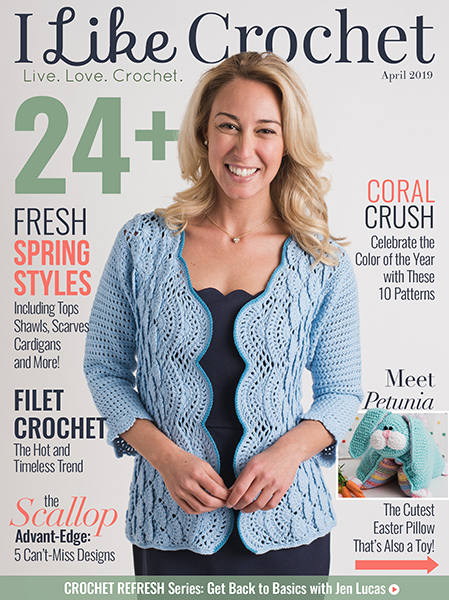 I love the new batch of patterns that comes out every season – and these cute quick crochet patterns are no exception! Get Crafty & Amazing Christmas Cards on Minted! 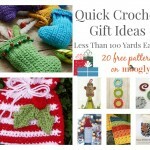 Quick Crochet Gift Ideas: Less Than 100 Yards Each! 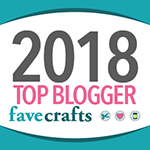 Tamara, thank you so much for featuring my Christmas Wreath! I am a long time fan, it is a great honor! 😀 Thank you so much for sharing it Tanya! 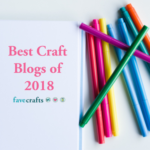 Thank you so much for these fabulous last minute makes!! Love the ring, I am making one tonight! 😀 Thank you Pat, I’m so glad you like them! 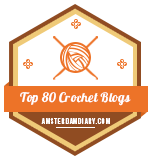 I wish to thank you for such a wonderful blog. 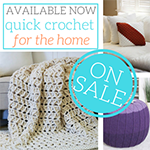 I’m just getting back into crocheting and enjoy the tips and patterns. I’ve learned quite a bit. I hope you and your family have a delightful Christmas holiday and a bright new year! Thank you so much Susan! Happy holidays to you and yours!